Our Charity of the Month for December is Casa De Dios in Pacoche, Ecuador. This is an outreach in a very small village in rural Ecuador. Many families live in bamboo homes and most men work as fishermen. 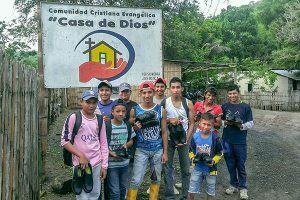 We have had the pleasure of partnering with Casa De Dios for 10 years, bringing teams from Michigan to serve in many ways. Every December we help put on a Christmas party in the village for 350 families. There are games, face painting, music, and performances. Each family receives an 8-pound food bag and each child receives a gift from Samaritan’s Purse. It is an honor to be able to be a part of this life touching ministry.